May 8th marks the 70th anniversary of Germany’s unconditional surrender of its armed forces to the Allied Powers—most notably Britain, US, France, China, and the Soviet Union—signalling the end of one of the greatest battles of the 20th century: World War II. Tonight’s MMN contenders represent but a small sample of films made in memoriam of this historic fight, and include choices ranging from a great American drama set in the streets of Morocco to a crude fictional assassination plot of Nazi Germany’s political leadership directed by the subject of last week’s MMN, Quentin Tarantino. 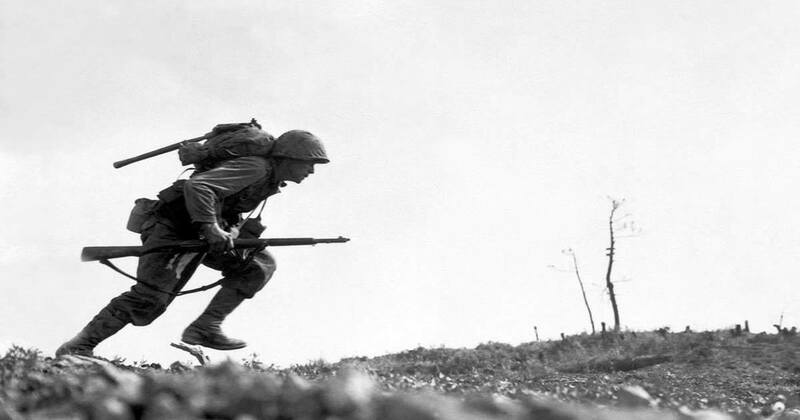 The story of the battle of Iwo Jima between the United States and Imperial Japan during World War II, as old from the perspective of the Japanese who fought it. The story of a sergeant and the inner core members of his unit as they try to serve in and survive World War II.